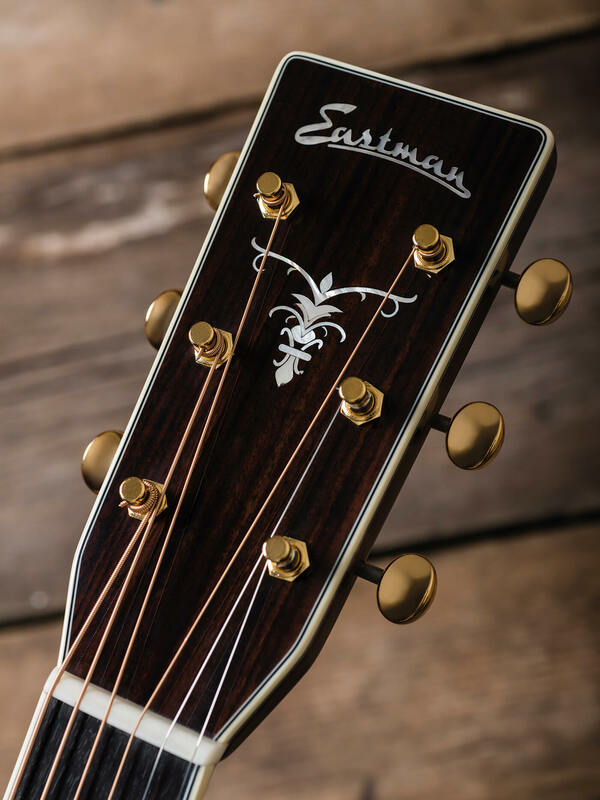 Eastman introduced its new Double Top acoustic guitars at the 2019 Winter NAMM Show. From the outside, the models in the series – which includes the DT30OM, DT30GACE and our review guitar, the DT30D – look like traditional flat-top steel-string acoustics, but there’s something different going on under the surface. ‘Double top’ has long been the accepted term for the style of soundboard used for this series. The DT30D’s soundboard is a three-layer construction, but it’s certainly not plywood. Instead, we have two very thin layers of Sitka spruce sandwiching a Nomex ‘honeycomb’ core. The idea is to achieve a far higher strength-to-weight ratio than is possible with a single spruce layer – Eastman claims that its double tops are 30 per cent lighter than conventional tops. The concept comes from the classical-guitar world and was introduced during the 1980s by German luthier Matthias Dammann. DuPont developed Nomex as a lightweight, flame-resistant material for the aviation industry and honeycombed sheets are used by luthiers. Latterly, steel-string acoustic builders have begun to use double tops too, and you can read more about that in our accompanying interview with Eastman’s Pepijn ‘t Hart. In all other regards, the DT30D is a conventionally styled and constructed dreadnought. A solid East Indian rosewood back and sides combine with a glued one-piece mahogany neck and an ebony belly bridge with matching pins. Although the headstock veneer is rosewood, the fingerboard is ebony and both feature three-ply binding. 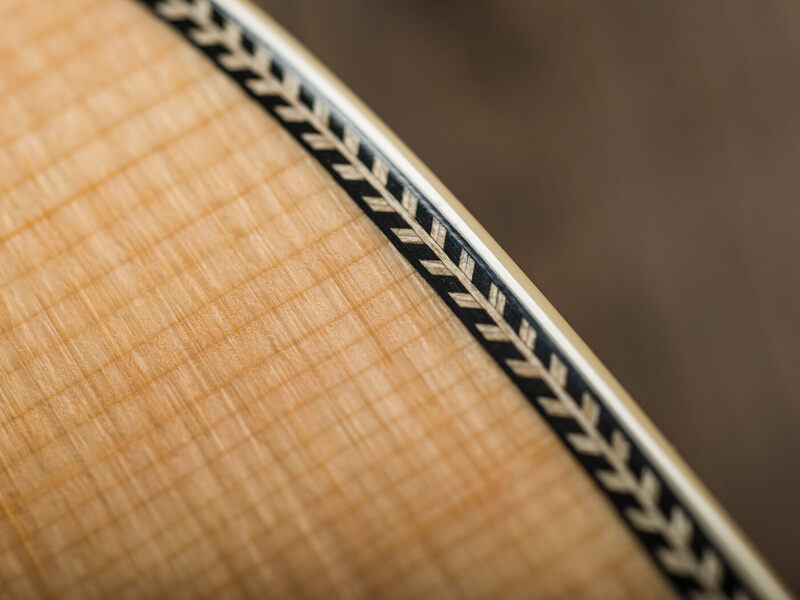 Herringbone purfling surrounds the top and an abalone rosette complements the intricate fingerboard and headstock inlays. In keeping with the classic appointments, bone is used for the nut and compensated saddle, and there’s a set of gold-plated Gotoh SX510 open-geared tuners. The neck has a traditional feel, too, combining a full and rounded profile with comfortably soft shoulders. Like the fretwork, the gloss nitrocellulose has been finished to a very high standard, and we particularly like the way the finish is shaded on the headstock and heel to transition into the darker rosewood. 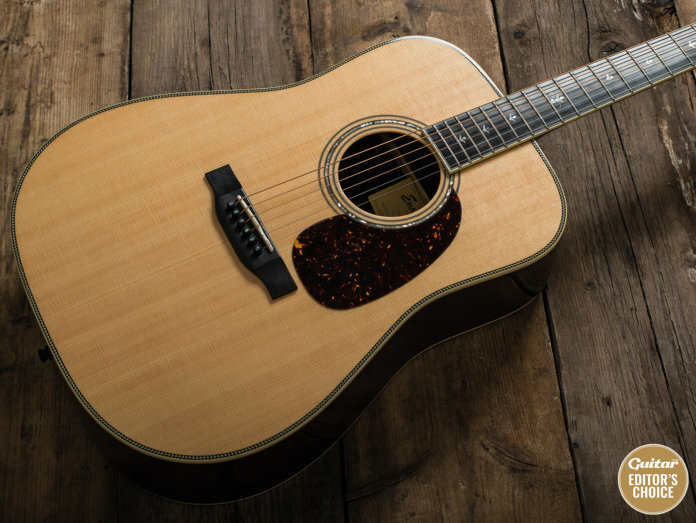 Everything about the DT30D’s appearance suggests a high-end dreadnought in the vintage Martin style, but the similarities are more visual than sonic. Given Eastman’s radically different approach to soundboard construction, this is probably to be expected, but the DT30D is no ‘boom and bust’ dreadnought with heavily scooped mids, thumping bass and percussive treble. Instead, we hear something smoother, far more balanced and, dare we say it, refined. Addressing the frequency extremes first, the bass is solid, but it doesn’t produce the chest-filling thump that most associate with dreadnought tone. At the treble end, there’s no trace of the metallic ping and brashness that so often accompanies fresh spruce and rosewood constructions. In contrast, the treble combines airiness with plenty of substance and an enjoyably lively transient response. There is a slight sense of tightness to the low mids and bass, and in normal circumstances, we’d speculate on how the guitar’s tone might develop as it ages and gets played in. With the DT30D, however, it’s harder to make predictions, due to our unfamiliarity with this type of soundboard. 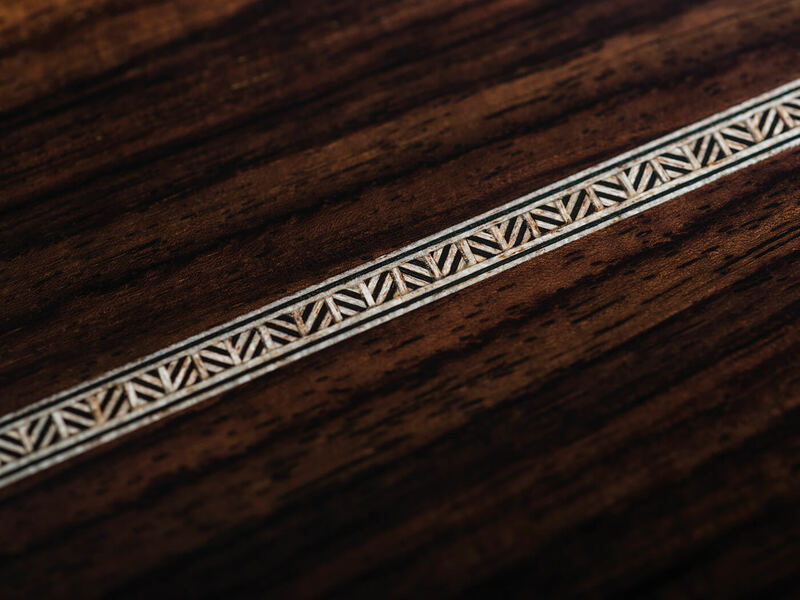 It doesn’t particularly sound like a guitar with scalloped braces as specified on Eastman’s website – peeking inside with an inspection mirror reveals unscalloped X braces with very light scalloping on the tonebars behind the bridge plate. We’re told that the review guitar is a prototype and that production models will feature scalloped bracing. Beginning with some bluegrass flatpicking, we notice that the transient response is a little slower in the bass end. Low notes are certainly clear enough, but they don’t quite pop off the board like the high strings. If you like to hear a bit of twang and snap off the wound strings, this may be an issue. But if you prefer a thicker thump, with less front-end attack, it’s a feature you’re really going to like about this instrument. For rhythm duties, the DT30D certainly isn’t the loudest and most powerful dreadnought we’ve encountered, but the even string-to-string balance, absence of boom and overall good behaviour make this a fun guitar to play. We would also expect it to lend itself well to recording – and in this regard, we’re reminded of the slope-shouldered Taylor Grand Pacific models we reviewed recently. Admittedly, it is a tiny sample group, but perhaps this is an indication of where contemporary acoustic-guitar voicing is headed. 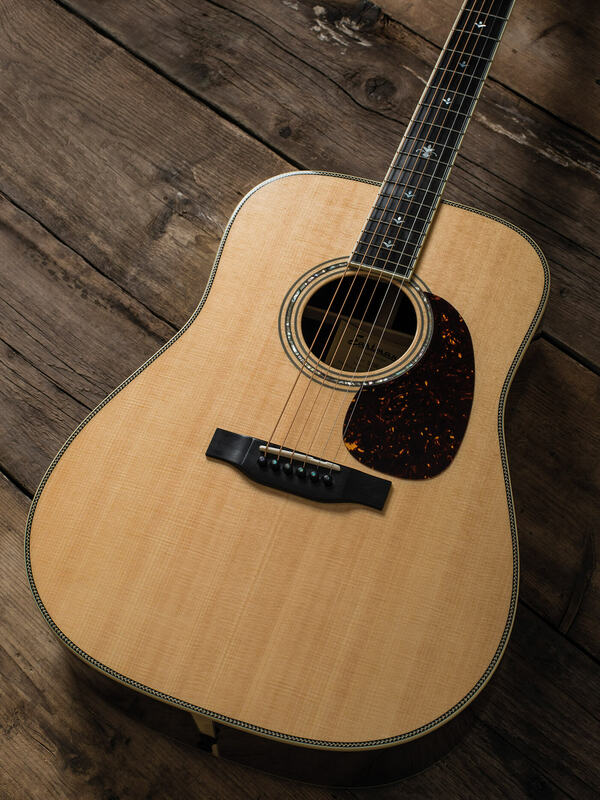 While some may feel that the DT30D isn’t the most exuberant dreadnought from a ‘strictly rhythm’ perspective, its tonal and dynamic characteristics make it far better suited to fingerpicking than most guitars of its type. Here’s where the DT30D demonstrates its optimal focus, clarity and touch response. We also notice almost otherworldly sustain and dizzyingly high headroom. 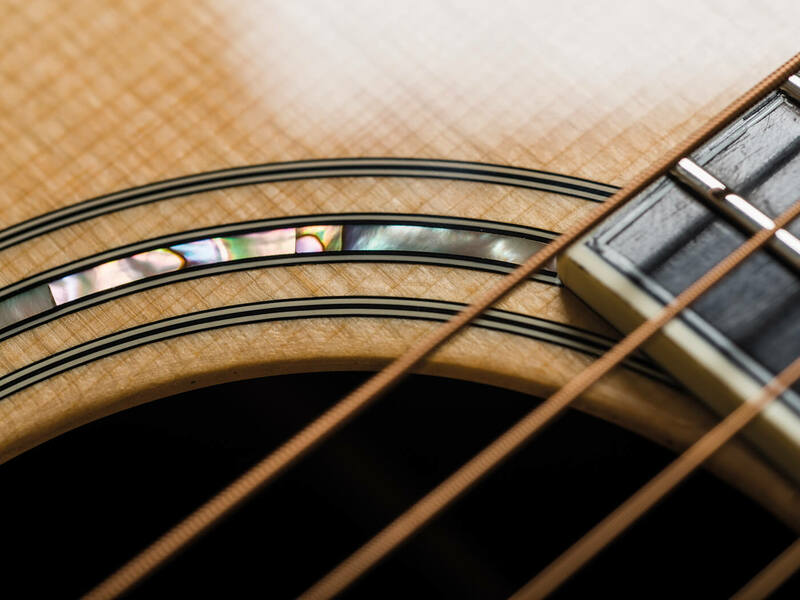 As fingerpicking acoustics go, it’s also remarkably easy and forgiving to play. With a string spread at the bridge of almost 56mm, there’s plenty of space so your fingers don’t get too bunched up and you can get under the strings to make them pop in a Bert Jansch sort of way. 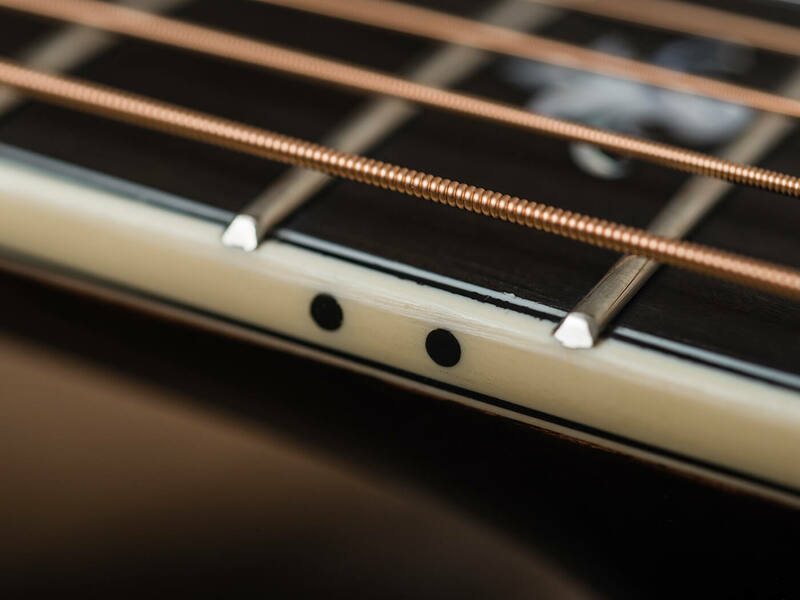 As reviewed, the action is set for rhythm work, but there’s sufficient saddle height above the bridge for the strings to be lowered, quite substantially, if preferred. 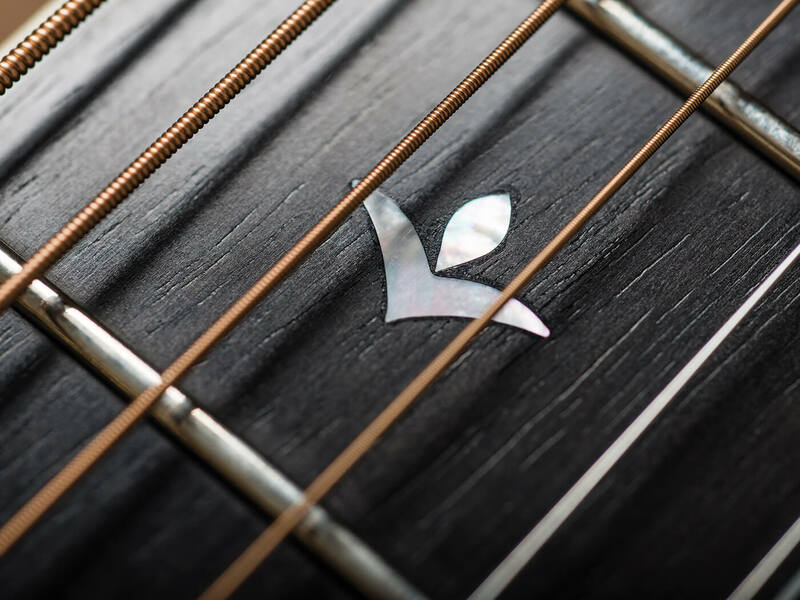 Although Eastman isn’t the first company to make double-top steel-string acoustics, it may well be the first large-scale manufacturer to do so. Like Taylor’s V-Class bracing, a double top doesn’t necessarily reinvent the wheel, but it does offer something that bit different, and we think it provides sonic characteristics that will suit a lot of players. With the technology so stealthily concealed within such a traditional and beautifully made instrument, it’s a win-win.